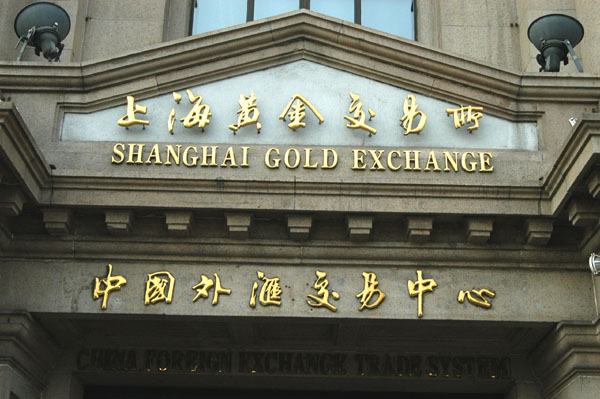 Shanghai Gold Exchange is progressing and gaining ground in the international field as it introduces more plans. After opening its doors in 2014 and also establishing its benchmark index of gold prices, the market ended the year increasing its activity by almost 60%, trading 18,500 tons of gold. The Chinese experts explained this improvement stating that there was a growing demand of investment by mining companies and institutional investors which use gold to avoid risks, as it was a year of great volatility. Clearly, the international arena is an advantage to improve their figures, but let us not forget about the relevance of the country in the gold market. Already during 2013, the level of gold produced and imported by China exceeded the global production by 50%, and the consumption of the precious metal was 60% of the total gold supply. For 8 years in a row it has been the largest gold exchange in the world, and everything suggests that the president, Xu Luode will aim at keeping the reputation and continue introducing innovations. That means future plans of cooperation with countries such as India – another important nation in gold market, as well as competition with the main gold exchanges in London and New York. Therefore, the president of Shanghai Gold Exchange has proposed to let foreign individual investors start to participate in the gold market. At the moment, the privilege of participation is just reserved for banks, refineries or gold producers. Analysts of the market foresee a growth of China in the gold market – despite being a young market; and see the competition with other gold exchanges likely, as when the new pricing system was established in London, 3 Chinese banks came close to participate. Besides these plans, there is no doubt that the product itself contributes more than anything to this success. More and more investors – individuals and institutions - turn to gold while the prices are relatively affordable, expecting high returns in the nearest future. Thousands of clients around the world have been enjoying the advantages of this precious metal for over 5 years. They buy investment gold bars in the Emgoldex online store, and create a gold business from scratch with which they receive a high and stable level of income, ensuring thus the well-being of their future! Share the latest events of the gold market and let your friends discover the best chance to buy gold!